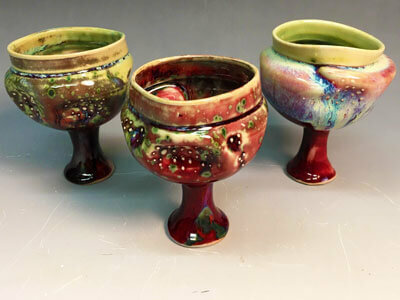 Undergraduate and graduate ceramics students in the NIU Ceramic Arts Organization will sell their creations from 10 a.m. to 5 p.m. Tuesday, Feb. 2, through Thursday Feb. 4. Items for sale are functional, including serving bowls, mugs, platters, jewelry, cups, plates, small bowls, spoons and vases. Customers also can buy grab bags containing three to five “mystery” ceramic items for $5 to $10. Proceeds will support the group’s annual trip to the NCECA national ceramics conference. The sale, which is sponsored by the NIU School of Art and Design, will take place on the north side of the second floor of the Visual Arts Building. Cash, check and credit cards are accepted methods of payment. For more information, contact Christina Warzecha at (815) 761-6706 or Z1546436@students.niu.edu.